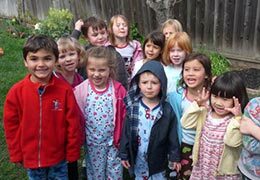 Blossom Valley Joy School was created in 2001 to enrich the lives of pre-schoolers socially, emotionally and academically. 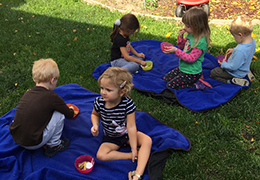 It is based in the colorful home classrooms of Deborah Torrens in the Blossom Valley neighborhood of south San Jose. Parents participate and provide snack on a rotating basis, therefore becoming co-teachers of their kids. 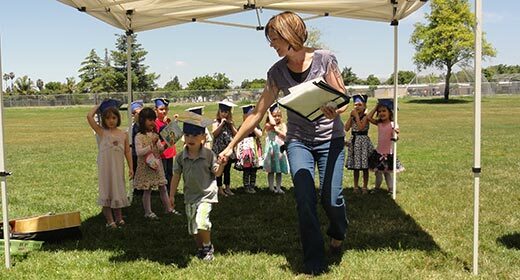 Why Choose Blossom Valley Joy School? Joy School Curriculum - This unique curriculum teaches values we most desire: honesty, self-esteem and respect. 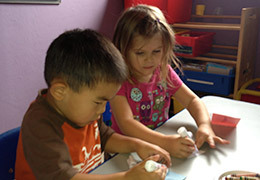 Variety - Mixing instructional techniques and activities each session keeps kids interested and engaged, allowing them to learn and retain the daily objectives. Daily Music - Music reinforces the lessons taught. CDs for each unit are included with tuition so you can take the songs everywhere you go! Quality - Mrs. Deborah participates in teacher development programs such as "My Teaching Partner", early childhood coaching program (completed Spring 2016), to refine her teaching skills and enhance her students' experience at school. Value - Low overhead costs due to the home environment and parent participation keeps the tuition affordable.